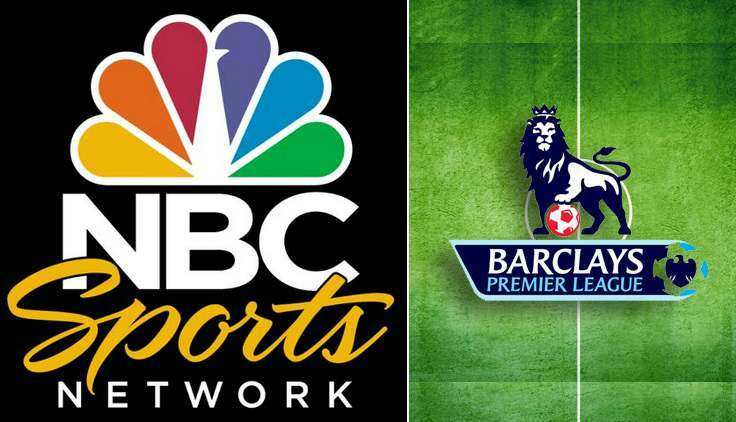 NBC has won the premier league tv rights deal in the United States and they will be showing each and every premier league game untill 2021-22 season. NBC are into their third season as exclusive rights holder of Premier League in the United States and now they won the rights for another six year where they will be paying more than double the amount compared to last deal. New 6-year deal will cost NBC a total of $1 billion (£641m) which is around $166 million a season. With the current deal NBC are paying $83 million a season (£53). Premier League seems to keep getting rich and with this new NBC 6 year deal plus other oversees deals from around the world the total oversees rights for the next three years has crossed £2.2 billion plus the record breaking domestic deals with SkySports and BT Sports which is worth £5.136 billion over the 2016-19 period. All the new domestic and oversees deals will come into play from 2016-17 season and that will make premier league clubs a little more richer. Currently 8 Premier League clubs are the in Top 20 richest clubs in the world but with new tv deals and premier league equal sharing model we can expect 10 to 12 premier league clubs ranked in the top 20 richest football teams in the world. 2016-17 Premier League Season Will be a Breakthrough One as far as money is concerned for the top premier league teams. Why ? Well new domestic and oversees tv deals will enable 20th place team in 2016-16 season to pocket around £100 million in tv rights share while the winners of 2016-17 season can pocket as much as £160 million just from the tv rights share money. With the current deal Chelsea earned £99 million in 2014-15 season and bottom club QPR pocketed £65 million. UEFA has also announced increase in Champions League prize money from 2015-16 season where market pool awarded to Premier League teams will get a steep hike. So if a english club were to win the champions league in 2015-16 or 2016-17 season they can pocket around £100 million in UEFA prize & market pool money.